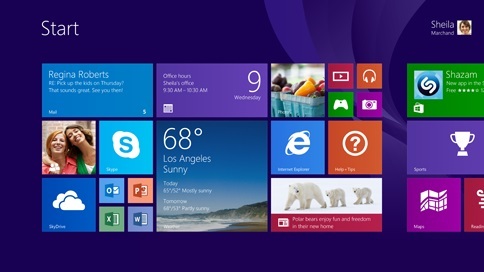 Today Microsoft released the new Windows 8.1 Version from Windows PC users. The new update comes with lots of new changes such as Start button is back, snap view, App improvements, smart SkyDrive syncing and lots more. If you are the existing user of Windows 8 then its easy to install the new Windows 8.1 update. If you are coming from the Older version of the Windows then you need to buy the Windows 8.1 and install it on your PC. But before that you hvae to take the backup of your important files to start the update process. 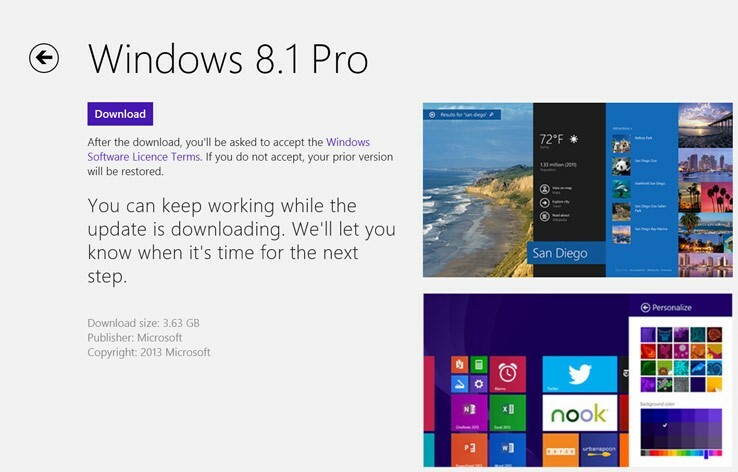 To know more about update process read the Windows 8.1 faq here. Today in this guide we will show how you can easily upgrade your Windows 8 PC with Windows 8.1 without losing your data. Although your files and apps come with you when you update to Windows 8.1m but it was always recommended to take the backup of your important file and save them in some safe place. To update the Windows 8 pc you need a internet connection and some free time. 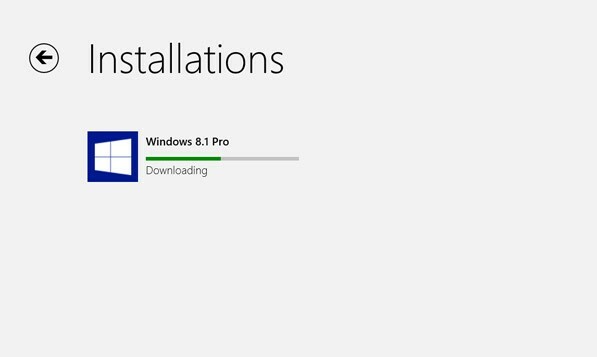 So lets take a look how to install Windows 8.1 update on Windows 8 PC. Click on the Install button to update your Windows 8 PC. The update process will download and install in the background and art that time you will use your PC for any other work. Make sure that your Windows drive has enough space to start the update process. NOTE:- If the installation is interrupted for any reason, you can restart the update from where you left off by going back to the Store and downloading the update again. 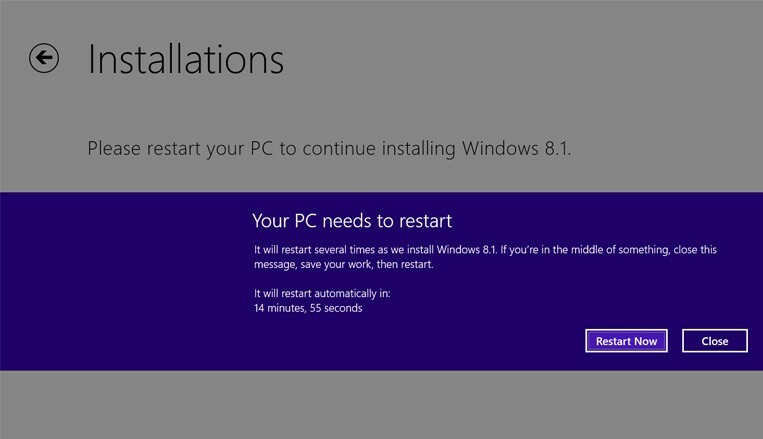 After the update is downloaded on your windows, it will ask you restart the PC to complete the installation process. Hit the restart button and wait for some time to finish the installation. After your PC finishes restarting, the Widows will ask you to accept the Microsoft software license terms, Click Accept to proceed. After that you will see the installation setting page, click on the Use express settings and Hit continue button to complete the installation. Now at the end ype your password and sign in to your Microsoft account. After the one more restart you will see the new Start screen on your Windows PC. Now your Windows 8 PC is updated with the latest version of Windows 8.1 and you will enjoy the new feature of Windows 8.1 on your desktop.